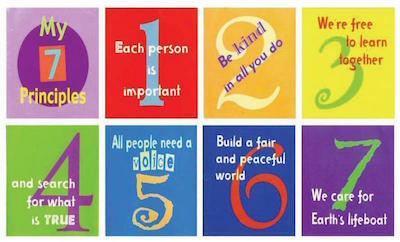 The Unitarian Universalist 7 Principles arranged as pillars. Our first and seventh UU Principles are statements of what we affirm about life. They are pillars that hold up the other five Principles, which are more about how we agree to be together.